The process of forecasting future performance with the goal of calculating a particular metric or set of metrics is called financial modeling, which is the subject of this blog, and Part 6 of our Preparing to Purchase a Self Storage Facility series. Here’s the scenario: Wanting to purchase a self storage facility, you’ve started to watch the storage listings coming to the market. You’ve identified two properties in your target market, but each is significantly different from the other. After reviewing revenues and expenses, the properties appear to generate annual net operating incomes (NOI) of $100,000 and $150,000, respectively. The complicated truth is that you have no idea which is the better investment based solely on this information. If you plan on holding the property for 5-10 years and selling for a profit while seeing positive cash flows during that time, you will need to project a number of metrics over that time to truly gauge the potential of your investment. Before diving too far into developing a financial model, it is essential to collect all necessary data. Thankfully, the data is very easy to collect with most of it listed in the property’s offering memorandum. Aside from the targeted purchase price, the first place to start is the property’s financial history. This can be ascertained from profit and loss statements and tax returns. One note regarding financial documents – it is advised to collect management summaries when possible to verify revenue and its sources. 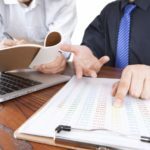 Dependent upon the current owner’s accounting method of choice (cash vs. accrual), there may be a sizeable discrepancy between actual monies collected and listed revenue. The next key pieces of data you will need are an up-to-date unit mix with standard rates. This will provide you with the ability to calculate the absolute highest level of revenue this property could achieve at full occupancy – what we refer to as gross scheduled income (GSI). When compared with a survey of current rental rates in the market, it will be apparent if the current owner is charging rates at, below, or above the market. This information will be essential in determining your projected rental rate increases later in the process. There is one final crucial data point you will need – loan information (assuming you are financing a portion of the purchase). Your lender should be able to give you an idea on available loan terms; interest rate, available interest-only periods, total amortization timeframe, etc. This information will allow you to create an amortization schedule; the list of all payments, broken down with interest and principal portions, for the length of the loan. The monthly forecast provides buyers with much more control of their modeling, leading to the most accurate and detailed projections. It uses projected lease-up to drive rental income, which requires a detailed formula to be written to account for revenue generated from move ins, revenue lost from move outs, and any applicable discounts granted to new customers (i.e. free first month). This technique also allows projections to reflect certain seasonality, which may be present based upon the storage property’s geographic location. Less complicated is an annual forecast that simply applies a modifier to most line items. While this is much easier to create, it relies heavily on assumptions and is therefore slightly less accurate. Regardless of which forecast method you choose, there will likely be some line items that are fixed at a given modifier – typically a 3% year-over-year increase to most expense lines to account for inflation. True inflation may be slightly less, but conservatism is best when modeling your self storage acquisition. Other line items are likely to be factors as well. For example, it is common practice to have total fees equal to a percentage of rental income, inventory sales to be a factor of move ins, and credit card processing fees to be a factor of total revenue. While mentioned previously, it is worth restating the importance of factoring discounting (also referred to as rate concessions) into your forecasts, as this can be thousands of dollars per year. Going back to our scenario, let’s assume you have completed the financial projections for the two listed self storage facilities of interest. You have forecasted revenues for your desired hold period, subtracted out all operating expenses to calculate a NOI, and then further subtracted projected debt service to give a bottom-line net income. 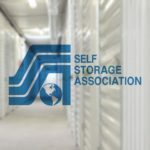 One self storage property appears to generate a higher total profit, but you will need to evaluate the financial performance of your investment with a number of critical metrics. The three key metrics to consider are return on investment (ROI), internal rate of return (IRR), and equity multiple. There are a few methods to calculate ROI, but they each provide insight into the total amount of cash flow you will receive from your investment. The IRR takes this one step further by accounting for the time value of money; the idea that one dollar today is more valuable than one dollar in the future due to its earning power. It does this by calculating the discount rate at which point the net present value of your future cash flows is zero. These result in an expected rate of growth of your project – the higher the better. Lastly, the equity multiple is simply the sum of all positive cash flows divided by the total equity (cash out of pocket) required to purchase the storage property. Thus, a $1 million property purchased with $250,000 of equity that generates a total positive return over its holding period of $750,000 equates to an equity multiple of three. It is essential to use financial modeling when determining if you are going to purchase a self storage property, and if it’s worth your investment for the return you will get in the future. If you have questions or would like to talk to our knowledgeable team of brokerage advisors about buying a self storage property, you can contact us today. John Nicolson joined the Investment Real Estate Group of Companies (IREGC) in 2018 to support the brokerage and operations teams. He is responsible for providing financial analyses and valuations on self storage properties; preparing market/feasibility analysis; supporting the development of proposals and offering memorandums; and the creating and maintaining financial models.